I found this shoe object in thief dark fate, however the object texture is not working. Any idea why? Could be various reasons, you got a link? scroll down the page almost to the end and you´ll come across the shoes object. There´s alot of pack object in Thief dark fate which are incomplete. I wish i could know who the author is to credit him/her. if you look closely to the screenshot you´ll see your wooden box in the middle shelf. You´r name is already in the credits reame file Daraan. Christine! So wonderful to see you! Thank you Russ, i will check that program, i really need a program to check the object textures. Thank you Christine i wasn´t aware of that author website. That right there should be the texture. I normally just use the the normal view.exe. which displays the textures the model is using. You can associate .bin files with it. Last edited by Daraan; 3rd May 2016 at 13:47. Thank you Gort and Daraan, the view.exe. is a new dark application? view.exe is nearly as old as thief. At least it says 1998. Made by Shadowspawn maybe? 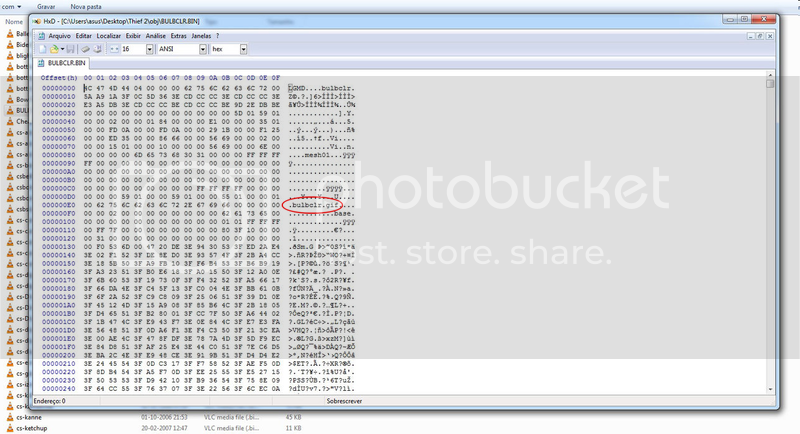 The .exe is a self extracting archive. If you don't want to run it you should be able to oben the file and extract the content with every descent zipping tool. There are several unused models uploaded. Did you forget to add them? Last edited by Daraan; 3rd May 2016 at 17:48. For viewing object textures in a bin file, notepad can do it for you. I mean texture names, of course. what was the main topic? you mean the unused models? yes i noticed that for example the bottles pack in thief dark fate has no object files and only textures. Here's a list of pending accounts. Does anyone recognize the names? If no-one speaks up the accounts will be deleted. I usually do a google search and delete any accounts whose email address turns up in spam reports, but none of those ones had any results. None are TTLG members? If not, I would suggest deleting them. Maybe the object repository should make it clear that an account is only needed to upload content, not to download. A search for the last part of the addresses (e.g. levening.com) bring up some results from stopforumspam.com, which is enough for me. Accounts deleted. Spam attempts thwarted. I might disable account requesting and revert back to the fully manual system, where someone PMs or emails and an admin creates the account. The number of genuine account requests in a given month is easily low enough to handle. Er, I know. You're already registered. That's how you've been able to upload objects and make posts. I'm a little confused about the SS2 objects you've been uploading. Are they objects you've made for SS2 or are they objects from SS2? The post titles (... by SS2) imply the former but you've added yourself to the category lists, which implies the former. If it's the former I'm not sure they need to be on this site. I agree. They are no more needed in the Object Repository than T1 or T2 objects made by LGS are needed there. I believe the OR is for fan made objects,, not LGS made ones.